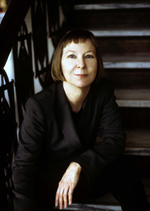 The State Library of Louisiana named author Valerie Martin as the recipient of the 2010 Louisiana Writer Award. Annually, the Louisiana Center for the Book presents the Louisiana Writer Award as way of honoring contemporary Louisiana writers whose published body of work represents a distinguished and enduring contribution to the literary and intellectual heritage of Louisiana. Martin is the eleventh recipient of the prestigious award, and the second woman to be chosen, with novelist Shirley Ann Grau having received the recognition in 2004. The first award went to Ernest J. Gaines, who now has a literary award named after him. Others who have followed include novelists James Lee Burke and Elmore Leonard; poets Yusef Komunyakaa and William Jay Smith; historian Carl A. Brasseaux; scholar Lewis P. Simpson; and children’s author William Joyce. Author Tim Gautreaux was the recipient of the 2009 award. As State Library Rebecca Hamilton noted with the announcement of Martin's selection, "Valerie Martin has drawn on her life experiences as a New Orleans native, with six of her nine novels set, in whole or in part, in Louisiana. In addition, all of her short story collections contain stories set in New Orleans." She went on to say, "Valerie, through her enormous talent and dedication to her craft, has contributed significantly to Louisiana’s rich literary legacy. We are proud to honor her with the Louisiana Writer Award and are so excited that she was able to travel home to Louisiana to accept the award in person." Martin is the author of nine novels, three collections of short stories and a biography of St. Francis of Assisi. In 1990, her novel Mary Reilly, which purports to be the diary of Dr. Jekyll's housemaid, won the Kafka prize, was translated into 16 languages and was the subject of a film directed by Stephen Frears. Her novel Property, narrated by another voice from the past, that of a woman slave-owner in antebellum New Orleans, won Britain’s Orange Prize, was short-listed for France's Prix Femina Etranger and placed on the long list for Ireland's Impac award. Starting college at the University of New Orleans, Martin began to write and to read the novels that would provide her with the thematic material that has sustained her through the years. She then attended graduate school at the University of Massachusetts in Amherst, receiving an MFA in Creative Writing in 1974. Her first novel, Set in Motion, was published in 1978. Other novels and collections of short stories followed. Martin’s teaching career took her to various institutions: the University of New Mexico at Las Cruces, the University of Alabama at Tuscaloosa, the University of New Orleans, Mt. Holyoke College, the University of Massachusetts, Sarah Lawrence College and in the fall of 2009, after a twenty year absence, back to Mt. Holyoke College in Massachusetts. Between 1994 and 1997 she lived in Italy, the setting of her novel Italian Fever and a biography, Salvation: Scenes from the life of St. Francis. For the past twelve years, Martin has lived in upstate New York with her partner John Cullen and her cat Jackson Gray. She has one daughter, Adrienne Martin, who is a professor of philosophy at the University of Pennsylvania.